For many people, October is pumpkin season. Don't get me wrong, I do love my annual pumpkin spice lattes, but for me, October is all about the apples. 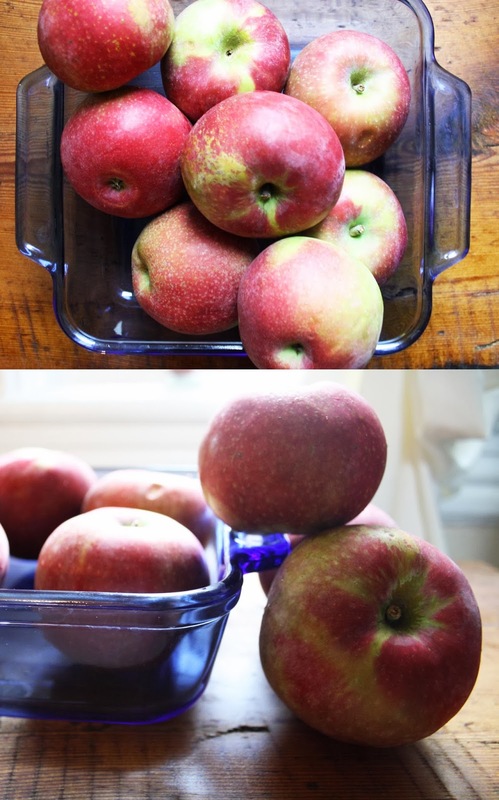 I love all things apples; a daily crunchy afternoon snack, a warm compote on a chilly morning, the list is endless - and the abundance of apples in the fall complements that perfectly. Peel, core, and chop 8 apples. I typically cut mine into chunks, others slice them into slices; do whatever you prefer. Place the apples in the dish and sprinkle, generously, with cinnamon. In a separate bowl, stir together the flour, oats and sugar. 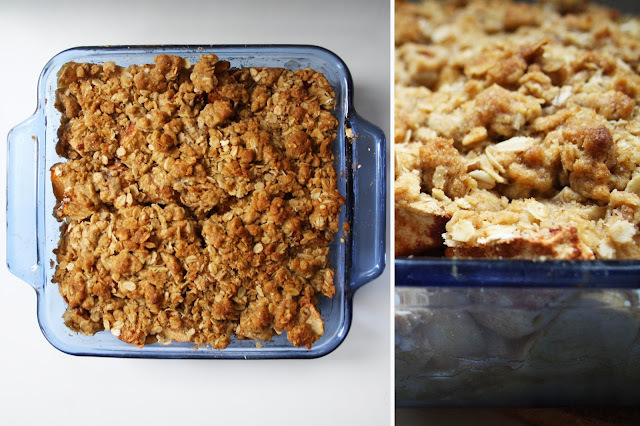 Crumble the butter into the bowl, and use your fingers to combine everything - ensuring you maintain a crumble texture. Sprinkle the mixture evenly over the apples.